Requires delete tuning ($249 add-on) with upgraded downpipe. Recommended: Full exhaust upgrade and data logging. Upgraded turbos. Can achieve more than 500whp/800wtq if you have supported hardware. 340hp 510 ft/lbs ** Actual gains may vary, dyno pending. This requires bench-flashing, as the special launch control code is created outside of the normal OBD2 calibration area. This means that the DDE (ECU) must be removed from the vehicle and shipped to us or to one of our dealers that have bench tools. You can specify the injection timing and boost setting during launch mode, or we will make the recommendation. Some BMW customers with larger turbos are able to build 30 PSI boost at 0MPH with this tune. Bench flashing: You must contact us or a dealer to arrange bench-flashing. The DDE (aka ECU or ECM) will need to be removed from your vehicle. OBD flashing: A $500 - $1000 deposit is required to rent our OBD2 tool. You must contact us to arrange this (note: there may be a wait list). If an off-road (delete) tune is desired for a 2009-2013 BMW diesel (M57), but it has a "0 Start Remaining" message and won't start, then no problem! You do not need special BMW diagnostics tool to reset the system. 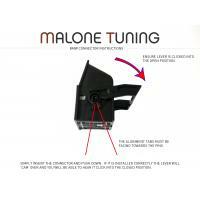 Simply install our tune and drive! 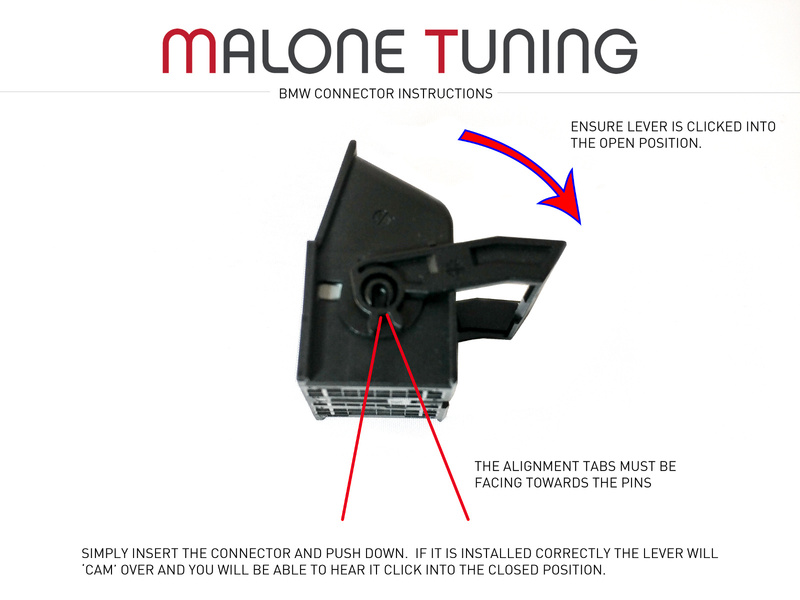 If you are pulling the DDE (ECU) out of the vehicle for the tune, then please see the BMW Connector Instructions picture below to ensure that you reconnect the DDE correctly. Requires no other modifications. If the DPF is removed, then there will still be very little exhaust smoke in a healthy engine that's also free of intake soot built-up. A popular tune! This tune performs close to competitors' Stage 2.8, yet it smokes significantly less. An incredible power/smoke ratio. Works with virtually all popular exhaust options in market. Also popular, this has a little more exhaust smoke output than Stage 2.5. Works with virtually all popular exhaust options in market. Nothing else is required for this tune! Nitrous oxide was sprayed to achieve 501HP. The car has stock turbos, stock internals, stock fuel injectors, stock airbox, etc. This car survived 25+ runs with nitrous oxide. We keep factory protections functional, which ensures reliability.